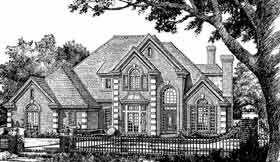 This classically-designed elevation houses a modern, functional floor plan, mixing practicality with luxurious detailing. The patio and covered patio expand living space outdoors. The cathedral ceiling in the living room adds scale. This home is designed with basement, slab, and crawlspace foundation options. Question: Can you find out on the width dimension @ 68’-10” is that including the fireplace and the brick? Our customer is limited to 67’-5” –so we will need to let them know. 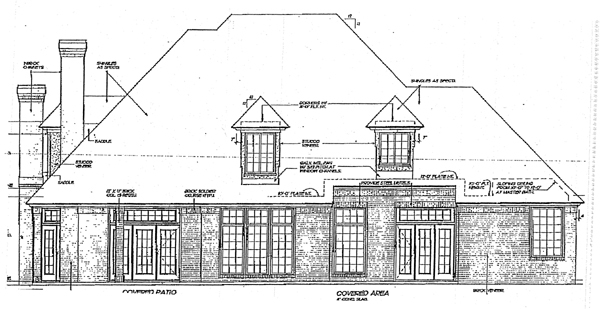 Answer: The plan width is 68'-10" to the outside of brick veneer, but not including the fireplace. The fireplace would extend out approx. 2'-0"